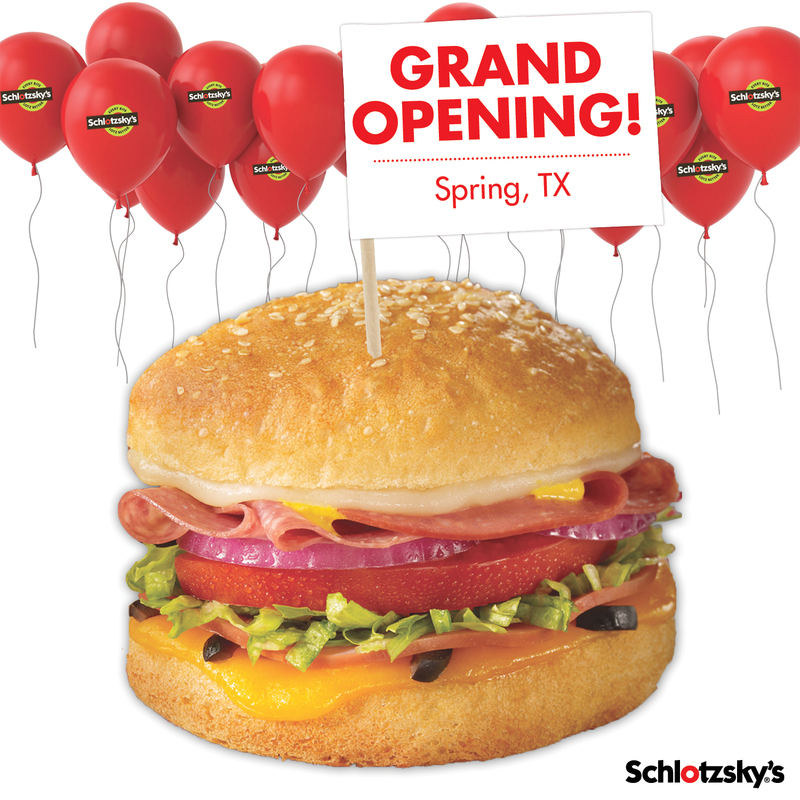 Schlotzsky’s AND Cinnabon are coming to Addison, TX! Grand opening celebrations kick off on Thursday, March 20. Doors open at 10am and the first 100 people to purchase a Cinnabon 6-Pack will get FREE Schlotzsky’s every week for a year! The event will feature lots of fun events, prizes, games and more! Like Schlotzsky’s Addison on Facebook! Schlotzsky’s-Cinnabon opens in Jonesboro, AR! There’s a new Schlotzsky’s-Cinnabon coming to Jonesboro, AR on Tuesday, November 19. Doors open at 10 a.m., and get there early, because the first 100 people to purchase a Cinnabon 6-Pack will get FREE Schlotzsky’s for a year. That’s one FREE small The Original sandwich each week for 52 weeks! We’ll have lots of fun games and other prizes to giveaway all day. Don’t miss it! *One small The Original sandwich per week at this location for 52 consecutive weeks commencing on November 19, 2013 and expiring on November 19, 2014. Only valid for persons 18 years or older. Offer valid only at the Jonesboro Schlotzsky’s. Technically, National Sandwich Day was November 3, but we’re celebrating today with the great folks at GMA Live, who enjoyed lots of Schlotzsky’s sandwiches and chips on their online segment this morning. Check it out! Throughout modern history, it’s never been particularly difficult to find a sandwich to eat. Just about every place that sells food will be able to make you one in some form or another, and if worse comes to worst it’s also pretty easy to find bread and something to put inside it. But recently it seems as if a golden age of sandwiches has begun. From “artisan” breads to lavish, gourmet fillings, it’s easier than ever to find a groan-inducingly good sandwich (and hardly anyone would argue against a perfectly composed sandwich being akin to a work of art). Thankfully, many chain sandwich shops are stepping up their game and offering some world-class sandwiches. They deserve to be recognized, so we’re saluting the top 25. In order to assemble our list, we reached out to the folks who would know best: you. We started with about 65 chains, defining a chain as any shop that has 10 or more locations. Some were national, some were regional. Next we assembled a survey and put it to a vote, asking you to select your favorites. With 1,287 responses collected from all over the country, the results were nothing short of definitive, and surprising. So what did we learn ? For one, quality is key. If you want to attract customers and keep them happy, you not only need to serve a product you can be proud of, but you also need to keep up with the times, make sure your bread and fillings are fresh, and give your customers an experience they’ll enjoy. Next, even the small guys can compete with the mega-chains, because at the end of the day they’re both on the same playing field. From the little guys who made our list like Atlanta Bread Company and Steak Escape to the behemoths like Subway, and from the entrepreneurs with a grand vision to the old guard trying to cement their legacy, we salute them all. Why? Because the sandwich is quite possibly the greatest food ever invented, and they’re working day in and day out to make sure nobody forgets that. Click here to see the 25 best sandwich chains in America. Dan Myers is the Eat/Dine Editor at The Daily Meal. Follow him on Twitter @sirmyers. Tuesday October 8 is $1.99 The Original Day! Join us on Tuesday, October 8th for our 42nd birthday! We’re celebrating with $1.99 small The Original sandwiches all day long at participating Schlotzsky’s restaurants nationwide. 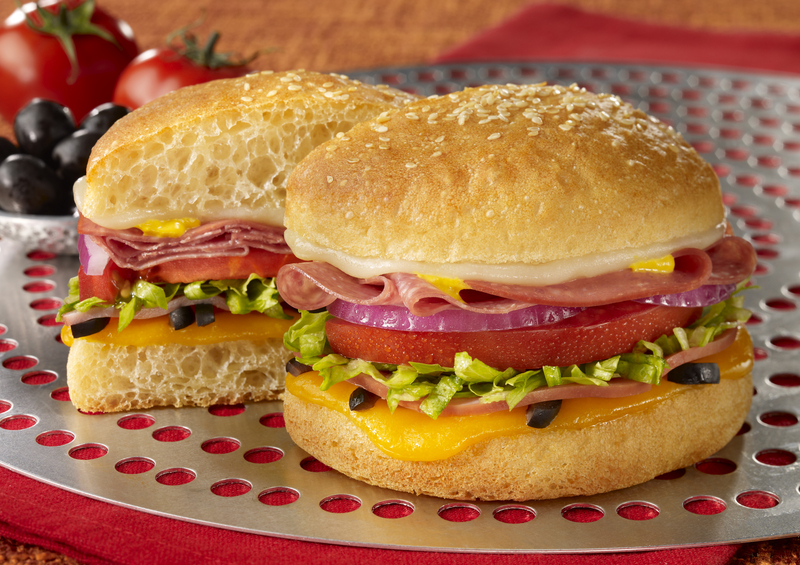 Stop by anytime on October 8 and enjoy our famous sandwich. No coupon required. And don’t forget to sign up for our Bun & Fun eClub now or while you’re at the restaurant – you’ll receive birthday specials and other coupons and discounts as a member. Tell your mom! Tell your dad! Tell your friends! Tell your coworkers! Don’t miss this great deal! PS – No coupon necessary. There’s no official limit on the number of sandwiches you can get, though some restaurants may set limits depending on demand. If you’re curious, contact them before you go. Vegetarian options may be available – again, depends on the location so ask in advance. Most options include Cheese Original or The Original with no meat.